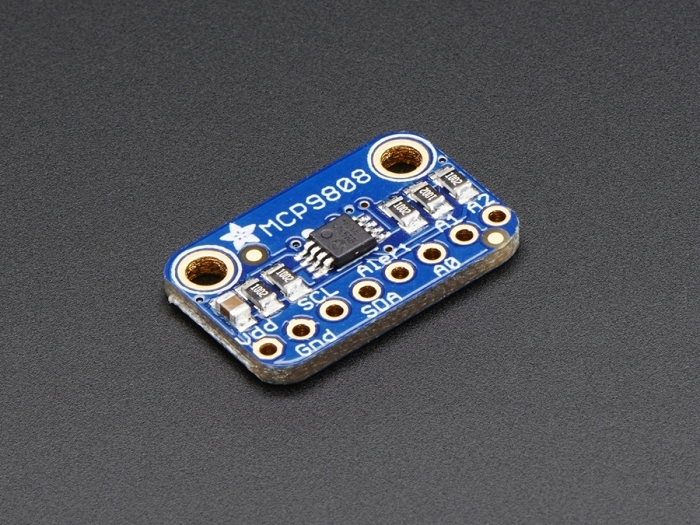 Unlike the DS18B20, this sensor does not come in through-hole package so we placed this small sensor on a breakout board PCB for easy use. 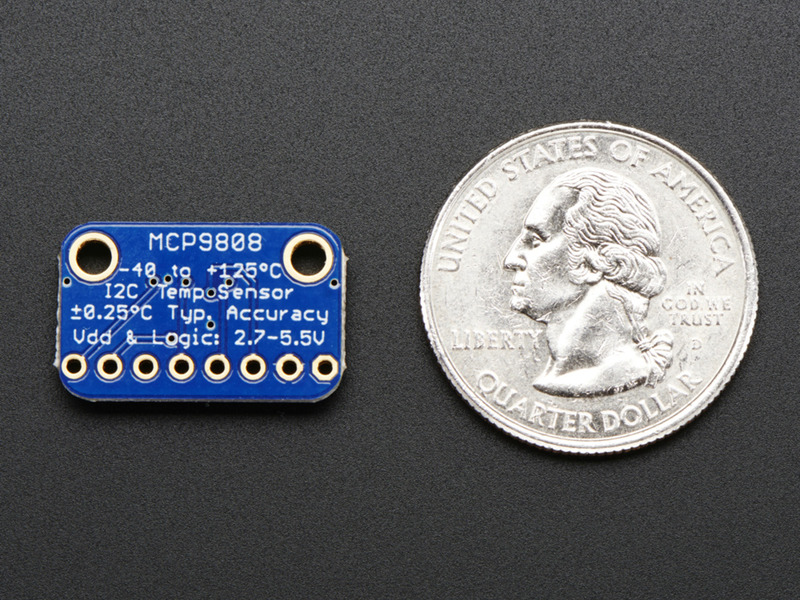 The PCB includes mounting holes, and pull down resistors for the 3 address pins. 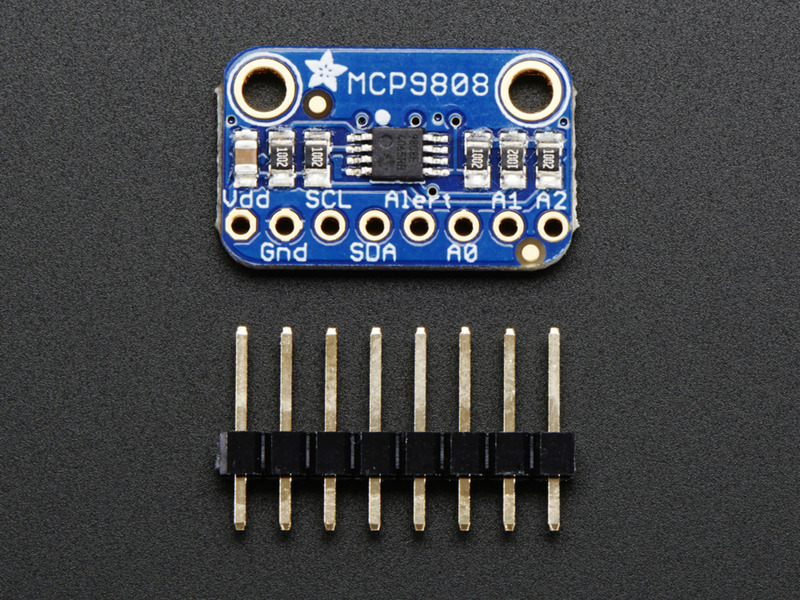 Adafruit even has a lovely little tutorial and library that will work with may Arduino compatible devices. You'll be up and running in 15 minutes or less.